Home improvement projects have good and bad side to them. We are building a new fence for our back yard. The old one we kicked down, no tools required, that’s how close it was to falling over in a strong wind. Today Home Depot delivered the supplies for the fence, yea that they deliver. The problem was that the wrong size posts were delivered so now we have to wait a little longer for the next stage of the project. 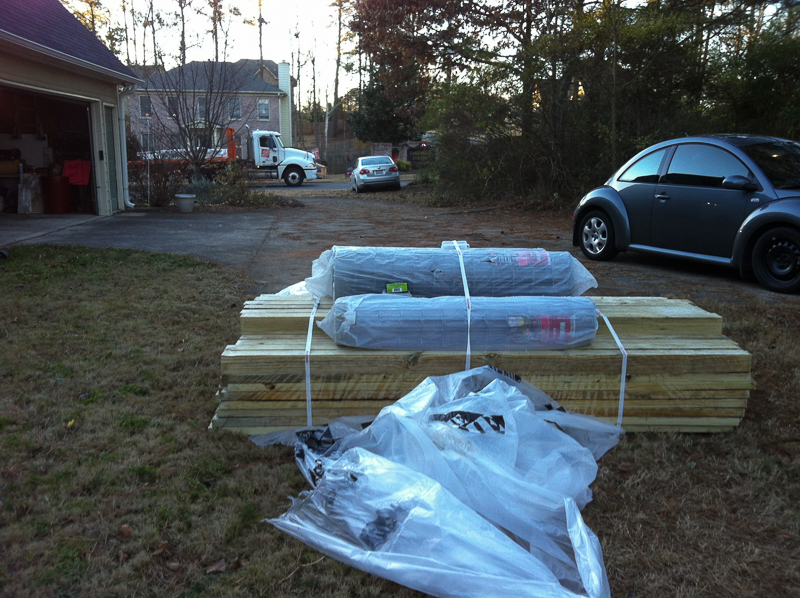 Just when you thought you can start building your fence, you got the wrong delivery. We are thinking of rebuilding our fence, so we need some inspiration. I can’t wait to see the results of what you will do with your fence.